Pancakes Serving up a Purpose | Adsystech Inc. In 10 days, 24 million dollars has been raised for charity. So maybe it’s not 10 days in a row. The pancake house offers an otherwise free short stack of their famous buttermilk pancakes and only ask for a monetary donation (of your choosing). This year they have set the bar high. Partnering with 3 charities – Children’s Miracle Network Hospitals, The Leukemia & Lymphoma Society, and Shriners Hospitals for Children – their goal of raising $3.5 million goes towards finding cures and eradicating life-threatening diseases affecting children and families everywhere. 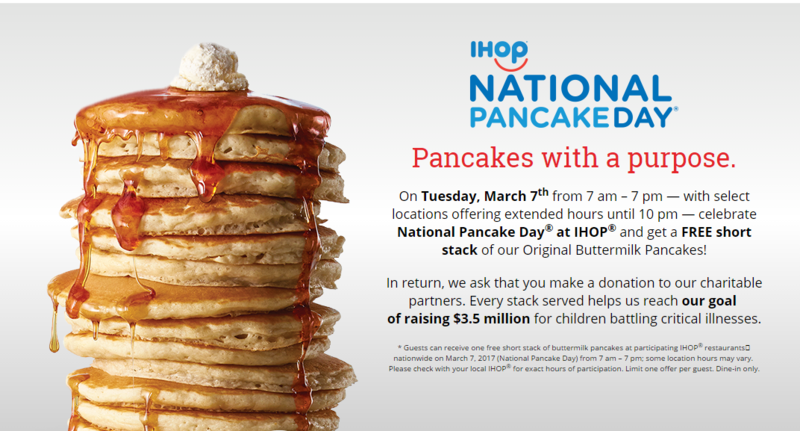 Due to the popularity of today’s event, IHOP anticipates serving a record-breaking five million pancakes to hungry and hopefully philanthropic diners.